Draft: 2007, Kansas City Royals, 10th rd. Married to Lacey…has 2 children, Nash and Hunter...Was present at Nash's birth in North Carolina on Oct. 2, 2014 before flying to Los Angeles and earned the save that night in Game 1 of the ALCS @ Angels. Combined to go 2-2 with 3 saves, a 4.66 ERA and 47 strikeouts in 56 appearances with the Cardinals and Nationals...Posted a 0.84 ERA (2 ER in 21.1 IP) in 24 games after signing as a free agent with Washington on Aug. 7...Designated for assignment by St. Louis on July 27 and released on Aug. 1...Limited left-handers to just 1 hit in their final 23 at-bats (.043). Went 3-2 with a 3.83 ERA (44.2 IP, 19 ER) with 49 strikeouts and converted 32 of 37 save opportunities...One of five pitchers to record at least 30 saves in each of the past three seasons, joining Craig Kimbrel, Huston Street, Glen Perkins and Aroldis Chapman...Placed on the 15-day disabled list April 17 with a right pectoral strain and was reinstated May 6 … also missed the final two weeks of the regular season and the postseason with a UCL tear … underwent Tommy John surgery on Oct. 2...Finished eighth in the American League in saves and 10th in games finished (40)...Was 3-0 with a 2.70 ERA (26.2 IP, 8 ER) prior to the All-Star break, while he was 0-2 with a 5.50 ERA (18.0 IP, 11 ER) in his final 20 appearances of the season...Did not allow an earned run over his first seven outings of the season (April 8-May 10) … posted a 1.76 ERA (15.1 IP, 3 ER) over his first 15 outings of the season. Greg made his second consecutive All-Star team, finishing second in the A.L. and third in the Majors with 46 saves, one year after setting a club record with 47 saves...Earned the first Mariano Rivera Award, which is given annually to the top relief pitcher in the American League...Pitched a perfect seventh inning at the 2014 MLB All-Star Game, helping the A.L. to a 5-3 win...Moved into second all-time among Royals relievers with 381 career strikeouts…now trails only Jeff Montgomery (720)...Converted 39 of his final 40 save opportunities...He's made good on 93 of his last 98 chances, the highest save percentage (94.9) in baseball over the past two seasons...Tied for seventh among A.L. relievers with 90 strikeouts…became the first Royals reliever to record three seasons of 90 or more strikeouts...Recorded his 100th career save on August 8 vs. San Francisco, setting the Giants down in order with two strikeouts...Collected his final save of the season on September 26 in Chicago, recording the final three outs in the game that sent Kansas City to the postseason for the first time since 1985...Ranked eighth among A.L. relievers with a .170 opponents' batting average…Lowered his career average to .197, lowest all-time among Royals pitchers with at least 250.0 innings...Tied a Major League record with seven saves during the 2014 postseason, matching five other pitchers...Posted a 0.82 ERA (1 ER in 11.0 IP) allowing just four hits in his 11 postseason appearances with 15 strikeouts...Left the team after the Wild Card win to witness the birth of his first son, Nash Gregory, in Asheville, N.C...Returned to the team during Game 1 of the ALDS in Anaheim and recorded the save that evening...Also tied a Major League record, collecting saves in all four games of the ALCS vs. Baltimore...He was the second pitcher to record saves in four-straight ALCS games, joining Dennis Eckersley, who did it in 1988 vs. the Red Sox...Recorded a save in Game 3 of the World Series, just the second by a Royals pitcher in a World Series game, joining Dan Quisenberry, who saved Game 4 in the 1980 Fall Classic. Greg produced one of the best seasons by a reliever in club history, being named an American League All-Star while setting the team's single-season record with 47 saves...passed Dan Quisenberry (1983) and Jeff Montgomery (1993), who both had 46 saves. Selected as the Bruce Rice Royals' Pitcher of the Year by the Kansas City Chapter of the BBWAA for the secondstraight season. Ranked third in MLB in saves, trailing Baltimore's Jim Johnson and Atlanta's Craig Kimbrel (50)...his 40 saves from May 30 to the end of the season were six more than any other pitcher. Led A.L. relievers with 103 strikeouts, which tied a franchise mark (Jim York, 1971)...his 291 career strikeouts are tied for sixth-most by a Royals reliever (Tom Gordon, 1988-95). Averaged 13.84 strikeouts per 9.0 innings, best single-season mark among A.L. pitchers with at least 60.0 innings ... topped his own Royals record of 12.22 per 9.0 innings, set in 2012. Recorded the lowest ERA (1.21) by a reliever in team history, besting Jeff Montgomery's 1.37 mark in 1989 (minimum 50.0 innings). Allowed four earned runs over his first three appearances ... posted an 0.69 ERA (5 ER in 65.0 IP) from April 9 through the end of the year. Named MLB Delivery Man of the Month for July and September and Royals Pitcher of the Month in May, June and July. Greg opened the campaign as a set-up man and ended it as the club's closer...named the 2012 Bruce Rice Royals Pitcher of the Year by the Kansas City Chapter of the BBWAA...Took over as the full-time closer on July 31 after the Jonathan Broxton trade with Cincinnati and was 16-for-18 in save opportunities, including converting his first 13 chances after taking over the role...Greg was the first Royals reliever to post at least 7 wins in a season since 2000 (Ricky Bottalico-9 and Jose Santiago-8)...Holland missed time early in 2012 due to a left rib stress reaction...was 7-2 with a 2.08 ERA over 60.2 IP (14 ER) after returning from the D.L. on May 11...Averaged 12.22 strikeouts per 9 innings, second among A.L. pitchers with at least 60.0 IP and best all-time in club history (min. 60 IP)...also was third among league relievers with 91 K's, the sixth-highest single-season total in franchise history...teammate Tim Collins paced the circuit with 93. Greg opened the year with Omaha before being recalled on May 19 and becoming the Royals most-reliable reliever ... his 1.80 ERA was the eighth-best total in Royals history among pitchers with at least 50.0 innings and the lowest among all Royals rookies with at least 50.0 innings. ... Struck out 11.10 per 9.0 innings, the eighth-best mark in baseball among pitchers with at least 60.0 innings. ... Led all of baseball allowing just 2 of 33 inherited runners to score (6.1%)...also ranked as the best percentage among Royals pitchers in history (min. 30 inherited runners), besting Billy Brewer who recorded a 10.3% in 1993. ... Was 4-0 with a 0.31 ERA in 22 home appearances, allowing just 1 earned run on 10 hits in 28.2 innings ... the home ERA was the best in the Majors (min. 20 games) and best among Royals pitchers all-time with at least 20 appearances at home. Greg made his Major League debut in Oakland on August 2 after having his contract selected from Omaha (AAA)on July 29....Struck out 23 in 18.2 innings, a rate of 11.09 per nine innings, the seventh-highest ratio in the league among pitcherswith at least 15 appearances....Struck out 3 or more in five outings, including tying a season high for a Royals reliever with 4 on August 23 atDetroit....Made 14 relief appearances for Tiburones de La Guaira in the Venezuelan Winter League...posted a 2.37 ERA andstruck out 35 while walking 9 in 19.0 innings. 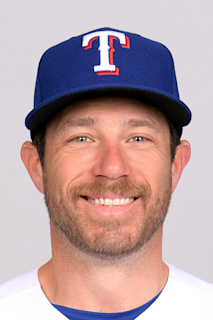 January 31, 2019 Arizona Diamondbacks signed free agent RHP Greg Holland. October 29, 2018 RHP Greg Holland elected free agency. August 7, 2018 Washington Nationals signed free agent RHP Greg Holland. August 1, 2018 St. Louis Cardinals released RHP Greg Holland. July 27, 2018 St. Louis Cardinals designated RHP Greg Holland for assignment. June 19, 2018 St. Louis Cardinals activated RHP Greg Holland from the 10-day disabled list. June 14, 2018 St. Louis Cardinals sent RHP Greg Holland on a rehab assignment to Springfield Cardinals. June 7, 2018 St. Louis Cardinals sent RHP Greg Holland on a rehab assignment to Memphis Redbirds. May 26, 2018 St. Louis Cardinals placed RHP Greg Holland on the 10-day disabled list. Right hip impingement. April 9, 2018 St. Louis Cardinals recalled RHP Greg Holland from Palm Beach Cardinals. March 31, 2018 St. Louis Cardinals signed free agent RHP Greg Holland. March 31, 2018 St. Louis Cardinals optioned RHP Greg Holland to Palm Beach Cardinals. November 4, 2017 RHP Greg Holland elected free agency. July 29, 2017 Colorado Rockies activated RHP Greg Holland from the paternity list. July 26, 2017 Colorado Rockies placed RHP Greg Holland on the paternity list. January 28, 2017 Colorado Rockies signed free agent RHP Greg Holland. December 2, 2015 RHP Greg Holland elected free agency. November 2, 2015 Kansas City Royals activated RHP Greg Holland. October 8, 2015 Kansas City Royals reassigned RHP Greg Holland to the minor leagues. May 6, 2015 Kansas City Royals activated RHP Greg Holland from the 15-day disabled list. April 18, 2015 Kansas City Royals placed RHP Greg Holland on the 15-day disabled list. Right pectoral strain. May 12, 2012 Kansas City Royals activated RHP Greg Holland from the 15-day disabled list. May 8, 2012 sent RHP Greg Holland on a rehab assignment to Northwest Arkansas Naturals. April 21, 2012 Kansas City Royals placed RHP Greg Holland on the 15-day disabled list. Left rib stress reaction. May 19, 2011 Kansas City Royals recalled Greg Holland from Omaha Storm Chasers. March 21, 2011 Kansas City Royals optioned Greg Holland to Omaha Storm Chasers. October 8, 2010 RHP Greg Holland assigned to Tiburones de La Guaira. July 29, 2010 Kansas City Royals selected the contract of Greg Holland from Omaha Royals. September 21, 2009 Greg Holland roster status changed by Omaha Royals. August 14, 2009 Omaha Royals placed RHP Greg Holland on the 7-day disabled list. July 20, 2009 RHP Greg Holland assigned to Omaha Royals from Northwest Arkansas Naturals.